My smaller running group today… and I’m perfectly hidden in this photo. Today was a short 5-mile run with the T2 gang. And attendance was a little light because a bunch of runners were off doing other races, including some of my friends running the New York City Marathon tomorrow (Good luck gang). 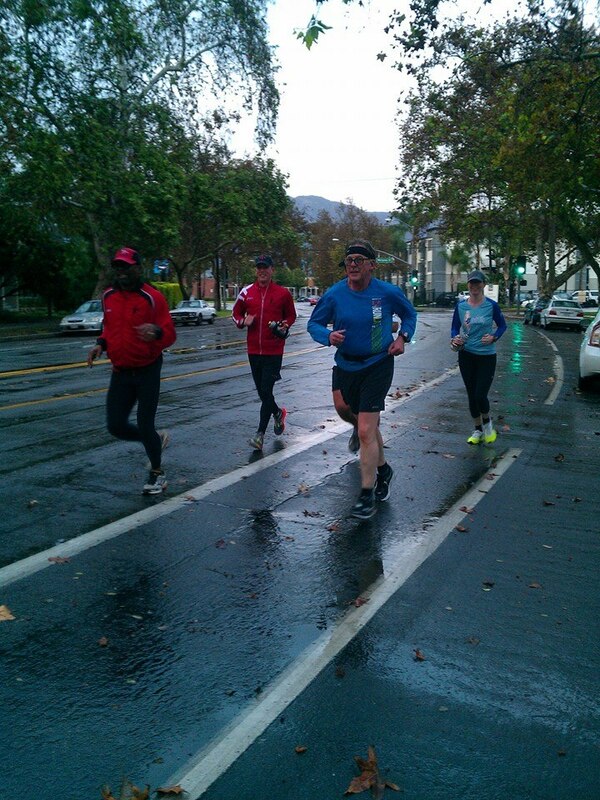 As a result, our pace group “Road Kill” was unusually small: only 5 people, instead of the normal 15-20, trekking today through Griffith Park during intermittent rain. By all estimates, it should have been a very basic and forgettable run. Not at all… it was a very memorable run. But not because of the run, but because of the conversation I had with a teammate. I spent the majority of the run getting to know Jason (not a new T2 runner, but a new runner to our particular pace group) and his story is nothing short of awe inspiring. You see last year Jason was training with T2 to run the 2013 Chicago Marathon. He didn’t get to run the race. Because one night during a maintenance run he was struck by a car. A drunk driver who ran a red light while texting. The “trifecta of douchebaggery,” I added. And it was a hit and run. A 19-year-old girl driving home from a graduation party hit him (sending him sailing over the roof of her car). She ended up going home to continue drinking and didn’t remember hitting him. Jason wasn’t just hurt; he was DOA when he arrived at the hospital. They were able to revive him. He spent four days in a coma and the doctors doubted he would wake up. And if he did they said he might never regain his cognitive functions. Happily Jason proved them wrong across the board. And now after several months of healing, he’s out running again, starting to train for the LA Marathon. It’s nothing short of a miraculous recovery (although he still has some lingering issues). And Jason’s outlook is utterly positive, not showing any apparent animosity toward the driver who almost ended his life. We should all be so forgiving. For five miles Jason talked openly to myself and Sharon (one of my other T2 alumni friends) about his ordeal and the challenging road back. 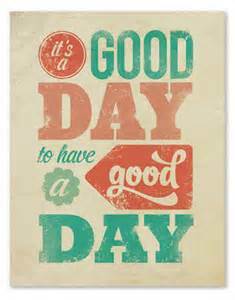 Yup, a good day indeed. He said all wants to do is help people and leave the world a better place. We finished our five miles and I bid everyone adieu as I kept running for another two miles (I wanted to do a little extra hill work today). I turned on my headphones and headed toward the hills. And I thought of Jason and how he’s running, raising money to help others and living life with admirable clarity and optimism. I look forward to many more discussions with Jason. And I thought… today is a good day. A real good day. Posted on November 1, 2014, in General. Bookmark the permalink. Comments Off on YOU CAN LEARN A LOT IN 5 MILES….